The Typical Student team keeps sharing real-life student experiences. 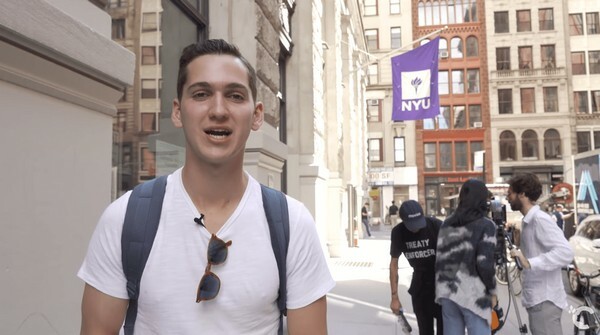 This time around, Matthew Friend, a student of New York University, shares the details of his life at NYU with Crimson Education. What's It Like to Study At the Biggest City In The US? Matthew says that living in New York is a real adult experience for him. He adds that he is all alone in a huge city and he is no longer a child who can rely on his parents’ support and care. What's The Best Part of Studing At NYU? For Matthew, the best thing about his college is definitely living in New York. He says that he never gets bored in the city because there are so many places to go and so many things to do and he simply loves it. What Does Matthew Do Apart From College? Matthew says that apart from his classes he spends a lot of time working on his YouTube channel and filming various videos and vlogs. What's The Gallatin School Academic Program? Gallatin School is unique to NYU and basically, it gives students who have several interests an opportunity to make their own unique concentration. So Matthew created his concentration along the lines of political satire and comedy acting in the entertainment business. He says that he can choose any of NYU classes to study if it fits his Gallatin School program.